Anything but three resounding losses would be a huge surprise considering Tahiti have only one, over the hill professional player in their squad. Playing with Spain, Uruguay and Nigeria in their group isn’t helping, making them excellent candidates in joining New Zealand, Australia and Mexico as the only teams to finish a Confederations Cup group stage with 0 points. The Confederations Cup has been around since 1992, but during its first two runs was named the King Fahd Cup. In 1992 it was a four team tournament, without a group stage. It expanded to six teams in two groups three years later, but by 1997, FIFA took over, making it into an eight team, two four-side groups tournament. 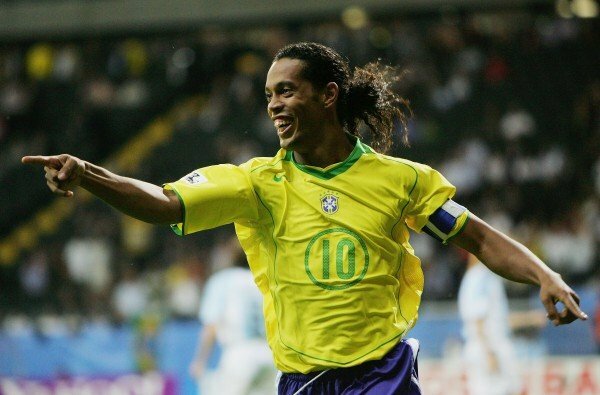 It was held every two years until 2005, and since then has been a preparation competition a year before the World Cup. There were two teams in the 1995 tournament to finish with 0 points in their group stage (Saudi Arabia, Japan), but they played only two matches, so we decided to give them the benefit of the doubt and not include them (sort of) in this dubious list. Only five players on that New Zealand team were playing in Europe, but those clubs were BSV Kickers Emden and Osnabrück from Germany, Roeselare from Belgium, Woking from England and Breiðablik UBK from Iceland. New Zealand ended up in a group that included Brazil and Germany (and the United States as well), meaning chances of actually getting any points were very small. And they didn’t. In their first match, a late goal from Chris Zorichich gave them a consolation goal in the 2-1 loss to the USA, but that was followed by two 2-0 losses to Brazil and Germany. They became the first team to finish without any points in the group stage of the tournament. 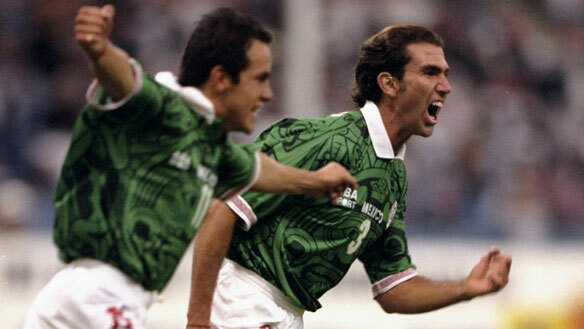 Mexico qualified to the 2001 tournament thanks to being the winners from 1999, and despite playing in a group that included Australia and South Korea (As well as France), they failed miserably with a squad that consisted of only Mexican players. They lost their opener 2-0 to Australia, followed by a 2-1 loss to South Korea and the fina humiliation came in the form of a rough demolition against France, conceding four goals, and finishing with zero points and a -7 goal difference. Even Canada, playing in the other group, managed to secure a point in the tournament, drawing with Brazil. Winning the OFC nations cup brought New Zealand to the Confederations cup for a second time, drawn into a group with France, Colombia and Japan. It ended just as badly and probably even worse than in 1999. They had a few more players outside of New Zealand and Australia this time, including four in the MLS, but it was still a very weak squad compared with what they were facing. It began with a 3-0 loss to Japan, followed by actually taking the lead against Colombia before conceding three goals en route to a 3-1 loss, and it ended with a second half collapse against France, losing 5-0, including two injury time goals by Giuly and Robert Pires. Australia made it into the tournament for a third time thanks to winning the 2004 OFC nations cup, but weren’t in for a very pleasing time, drawn into a group with Germany, Argentina and Tunisia. Their squad consisted of 21 players in Europe, inlcuding Lucas Niell, Brett Emerton, Tim Cahill, Mark Scwarzer, Mark Viduka and others, but it didn’t really help them. Australia put on quite a show against Germany in the opening match, losing 4-3 after coming back from 1-0 and 2-1 down, but conceded twice in the second half before scoring a 90th minute goal that didn’t change anything. This was followed by a 4-2 loss to Argentina, who held a 3-0 lead before a short comeback from the Australians (coming back to 2-3) was halted by Luciano Figueroa completing a hat trick in the 89th minute. Against Tunisia, they lost 2-0, becoming the fourth and last team to date to finish with 0 points in the group stage.